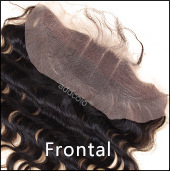 In Addcolo wigs store, wigs are fashionable enough with the latest hairstyle trending. Bob Wig is a category, specially designed for ladies who like short hair. And for its construction, bob wigs are available to full lace wigs, lace front wigs, u part wigs and non lace wigs. In addition, all customers can consult with Addcolo hair stylists for best bob wig styles from your face shape, skin colors and etc.